Built surfaces that harvest water, grow food, and generate energy. From the legacy of high modernism, an emphasis on form, technique, function and technology has dominated the representation of surface in architecture and landscape architecture. This emphasis has perpetuated a binary interpretation of the role of the architectural surface — either form and technique driven or function and technology determined. Form privileges the expressive, a response to the question of what the surface could be; while function privileges the operational, a response to the question of what the surface should be. Certainly these hard-lined distinctions have not always been so clear, though they have organized camps of thought in 20th-century design histories and practices. Yet external to this pairing is an overlooked history of what could be called the “productive surface.” The productive surface is a constructed terrain with the ability to — simply put — yield something. In other words, it has a tangible, positive byproduct — for example, energy, or biotic or abiotic components. The productive surface depends upon an intimate understanding of context, climate and natural processes. It may operate at the scale of a building or region, or at scales between — because of its networked and scalable logic. My goal here is to reveal a 20th-century history of the productive surface, establish its key progenitors, and interpret and assess its recent resurgence. Hydrating Luanda, Stephen Becker and Rob Holmes (mammoth). To begin this account of the productive surface, some questions: What does architecture and landscape already produce — intentionally or otherwise? And how is that component managed by design? Possible byproducts of any new construction include heat, light and waste; also shifts in air patterns, hydrology, species patterns and land value. The envelope, or outermost skin, is the principal plane of contact between a regulated interior and a fluctuating exterior. The main objective of this surface, in the case of architecture, has typically been preventive — to keep cool or warm air in or out. In landscape, the main objective has typically been to perform at the level of nature. But today the productive surface embraces a wider range of possibilities. Increasingly, design seeks to convert its very liability — an exposed surface — not only into a low-impact element but also into an economic and climatological asset. To return to a central question: How has the role of the horizontal surface — given its land uses, properties and resources — evolved toward the productive? To understand the rise of the productive we need to acknowledge the blurred, yet empowering, distinction between ecological and experiential ambitions. My argument here is that the productive is an extension and evolution of sustainability — without any dubious empirical or technological determinism. In addition, to isolate a history of the productive surface, we need to understand the impact of zoning and land-use regulation upon larger urban assemblies. The rapid corporatization of land during the 1970s and ’80s, and the subsequent deindustrialization of cities, are well-documented phenomena, and have provoked inventive propositions for new forms of urbanism. 3 But what are the origins of the industrial city? One of the urgent goals of early 20th-century urban planning was to manage the increasing complexity and unhygienic conditions of the expanding city, and its relationship to both rapid industrialization and the resulting strains on agriculture. Leading up to the turn of the century, planners and designers including Ebenezer Howard, Patrick Geddes and Tony Garnier expounded new models of urbanism that sought to confront this difficult transition and coordinate these challenges. Geddes offered a biologist’s view of urbanism, construing cities as forms of life. 4 Howard, trained as a stenographer, positioned the garden city as an ideal alternative to the current town form. Extending these provocations into a situated and detailed design proposition, Garnier developed the Cité Industrielle over a period of about 15 years, finally publishing his treatise in 1918. While each of these visionaries explored the form and format of the nascent industrial city, it is Garnier’s proposition that most accurately reflects the early modern ambition to incorporate the productive amid the residential. Influenced by the utopian socialism of Charles Fourier, the Cité Industrielle emerged within the context of early forays into regionalism. 5 Cité Industrielle, planned for a plateau in southeast France, incorporated residential, cultural, governmental, manufacturing and agricultural facilities into a gridded and zoned city; Garnier embraced the pre-condition of the site as both opportunity and obstruction. Unlike Ebenezer Howard’s Garden City concept, Garnier’s vision anticipated growth and evolution through an expandable linear framework. Various programs were located in dense homogenous clusters, which were strategically proximate to each other. Divided into either residential or public zones, the plan used circulation, green belts and park areas to modulate separations as required. To address the industrial component, the plan specifically called for a metallurgic factory, a silk manufacturing factory, mining, a cattle farm, abattoirs, a vineyard, and a hydroelectric station and dam. Garnier’s city was conceived and strategically programmed to absorb the productive capacities of industry for its own benefit — for the production of energy, food and a strong economy. Howard, Geddes and Garnier struggled to realize their visions in their own time — which is not unusual for planners — and the subsequent course of modern planning would do little to rectify the neglect of most of the essential components of their plans. But today, the growing interest in urban agriculture, renewable energy technologies, and positive-energy developments invites a re-reading of early modern planning with regard to the productive urban surface. In his Profile of the Industrial Revolution (started 1946, updated 1964), Fuller charted the discovery of 92 chemical elements, beginning in 1250 when Albertus Magnus isolated arsenic and culminating in 1961 when scientists at Lawrence Berkeley Lab synthesized lawrencium. Fuller leverages the chart as evidence that humankind is in “command of the complete inventory of building components with which the universe is structured.” 8 The elements occur organically and inorganically and are extracted through mining and other earth-altering techniques: in short, they are sourced from soil, water or air — farmed from the earth’s surface or atmosphere for conversion and transformation. In Fuller’s scheme, biological resources are extracted for pragmatic purposes (with food or energy as the results), while elemental resources are cultivated as a result of intellectual curiosity (with scientific knowledge or materials as the result). The WDSD culminated in 1965 in World Game, which was also developed in anticipation of the International and Universal Exposition — known popularly as Expo ’67 — that would open soon in Montreal. The scale and ambition of Fuller’s thinking is evident in his title — which to citizens of the ’60s would evoke not only the latest world’s fair but also the World Wars, the World Bank, the World Health Organization, etc. If Banham’s The Architecture of the Well-Tempered Environment (1969) charted an overlooked environmental interior, then Fuller and McHale’s WDSD Documents and World Game charted an overlooked environmental exterior. Each argued for a more efficient use of resources, land and materials — and did so years before the science of climate change emerged as a vital inquiry. In the last decade we find increasing focus on the productive surface. Massive energy generation, water harvesting, and agribusiness projects are transforming buildings and landscapes — turning Fuller’s inventory into sites of intervention, development and generation. These new surfaces farm and harvest the environment, generating byproducts that are then integrated or distributed. There is, for instance, the groundbreaking 2003 renovation of Ford Motors’ 1,100-acre River Rouge Complex in Dearborn, Michigan, by William McDonough + Partners, which converted the liability of the massive roof into a water harvesting system. The living roof, the largest of its kind in North America, now cleans about 10 billion gallons of water annually in what the designers call an “industrial strength” landscape. A similar intervention was completed in 2009 on the roof of the Atlantic City Convention Center in New Jersey. 13,486 photovoltaic panels produce an average of 26 percent of the convention center’s energy. Savings from the project are estimated at $4.4 million over the next 20 years. And in addition to water and solar, there is wind farming. 17 For example, the San Gorgonio Pass Wind Farm, installed during the 1990s and 2000s in southern California, comprises an array of 3,218 turbine units delivering 615 MW. Combined with the Altamont Pass and Tehachapi Pass wind farms, they account for 11 percent of the wind energy generated worldwide. Approval and development of these farms was initiated as early as 1981, in response to the 1970s energy crisis, meaning that some of the turbines are now significantly out of date. A renewal project that broke ground in 2008 at Tehachapi seeks to expand the field further, with ambitions to supply power to three million homes by 2013. Then there are propositions and implementations of agriculture and the productive surface. Eurofresh Farms in Wilcox, Arizona — a place with no shortage of sunshine — houses some 318 acres of hydroponically grown tomatoes. In the United Kingdom, Thanet Earth, majority-owned by Fresca Group Ltd., has recently completed phase one of a massive greenhouse project in Kent. There tomatoes, peppers and cucumbers are grown in glass houses in which everything, according to its website, is “computer controlled — from the blinds in the ceilings to the [operable] windows, the liquid feed make-up, the heating, lighting and carbon dioxide levels.” The project designers selected the site for its light levels, proximity to the national grid, high local unemployment and good transport links. Most notably, though more modest in scale, the White House installed a vegetable garden on the South Lawn in 2009, which is the first on that site since Eleanor Roosevelt’s victory garden during World War II. In many ways, this is more telling than any industry or science development. Intended somewhat didactically — though it does provide produce for White House chef Sam Kass — the garden plots yield vegetables, fruits, herbs and honey. 18 And to control harmful bugs, the Presidential team deploys not pesticides but ladybugs and praying mantises. 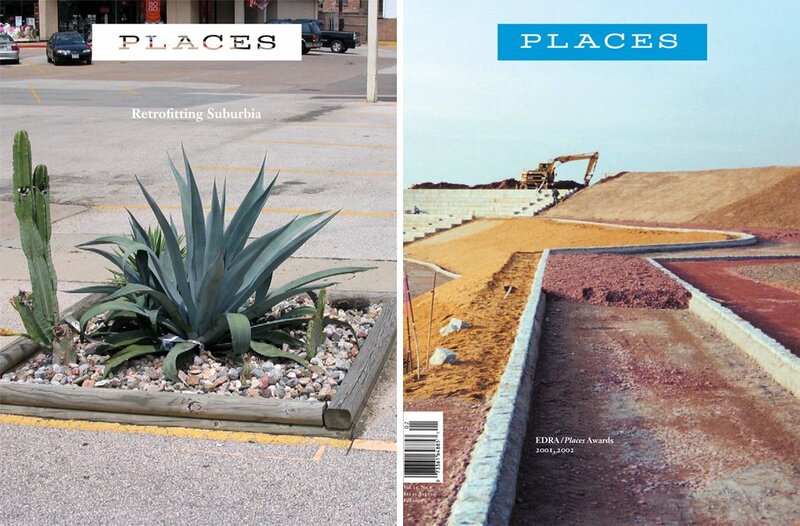 Productive surfaces articulate a new public realm, and with that a new public — a public characterized not by whether it is urban, suburban, or rural, but by whether it participates in the cultivation of its necessities, of its energy and food. The shift in emphasis from the “function” of Modernism to the “production” of contemporary practice can be charted through relationship of architecture to the larger environment. The productive surface yields, making it not only responsive to its environment but indeed operational because of it. This is not a sustainability mantra so much as it is a biological one — the goal is an architecture of synthetic surfaces servicing variously scaled constructed environments, including the roof, the site, and the wider climatological and ecological territory. The productive surface acknowledges and capitalizes on its innate potential for a seasonal or cyclical yield. It is dynamic and responsive, yet occupiable and tangible. As the history of the productive surface emerges, its key provocateurs are likely to be corporations, venture capitalists, farmers and technologists. How might the productive surface generate new economies, programs, typologies and public realms? For the architect and landscape architect, the opportunity is ripe. “The Productive Surface” is excerpted from Bracket 1: On Farming, edited by Mason White and Maya Przybylski, and just published by Actar. It appears here with the permission of the author and the publisher. In the 1984 reissue of Reyner Banham’s The Architecture of the Well-tempered Environment (Chicago: University of Chicago Press, 1969), the author chastises readers (and librarians) who “have put the first edition of this book among general introductions to technology — in which role it would leave much to be desired” (9). Instead, Banham sought an integrated history of architecture and technology. For a recent critique of sustainability, see Log, vol. 8, Summer 2006, especially Mark Jarzombek’s “Sustainability: Fuzzy Systems and Wicked Problems,” in which he argues that “sustainability as a field is dangerously afloat in ambiguity and indeterminacy” (11). Patrick Geddes’ Cities in Evolution (1915) was a seminal publication documenting his claim to a shift toward a “neotechnic” city. For more on Patrick Geddes, see the excellent Volker M. Welter, Biopolis: Patrick Geddes and the City of Life (Cambridge: MIT Press, 2002). For a more thorough account of regionalism and its relation to Garnier’s Cité Industrielle, see Dora Wiebenson’s Tony Garnier: The Cité Industrielle (New York: George Braziller, 1969), 16-20. For more on Frank Lloyd Wright, Ludwig Hilberseimer, and Andrea Branzi and the positions of an “agrarian urbanism,” see Charles Waldheim, “Notes Towards a History of Agrarian Urbanism,” Bracket 1: On Farming (Barcelona: Actar, 2010). John McHale, “Buckminster Fuller,” Architectural Review 120, no. 714 (July 1956): 12-20. Buckminster Fuller, “Earth, Inc.,” from The Buckminster Fuller Reader, edited by James Meller (London: Jonathan Cape, 1970), 223. Buckminster Fuller and John McHale, Phase I (1963) Document 1: Inventory of World Resources Human Trends and Needs (Carbondale: Southern Illinois University, 1963). John McHale, Phase II (1967) Document 6: The Ecological Context: Energy and Materials (Carbondale: Southern Illinois University, 1967), 7. Joachim Krausse, Claude Lichtenstein, editors, Your Private Sky: R. Buckminster Fuller, The Art of Design Science (Baden: Lars Müller Publishers, 1999), 473. Ibid., Your Private Sky, 473. For more on The Whole Earth Catalog and cataloging, see Maya Przybylski’s essay, “The Catalog: From Ploughs to Clouds,” Bracket 1: On Farming (Barcelona: Actar, 2010). This was not the first effort at such cataloguing. A century earlier, George P. Marsh published an impressively encompassing 644-page survey of current physical modifications to the environment and their quantifiable consequences. Marsh traces “the history of man’s industry as exerted upon Animal and Vegetable Life, upon the Woods, upon the Waters, and upon Sands.” See George P. Marsh, The Earth as Modified by Human Action (New York: Scribner, Armstrong, & Co., 1874), vii. Ibid., Your Private Sky, 473-479. John May, “The Logic of the Managerial Surface,” University of Toronto lecture, April 7, 2010. In particular, the Center for Land Use Interpretation is most notable here, but also the work and research of Keller Easterling, Albert Pope, Charles Waldheim, Alan Berger and P-REX, Pierre Belanger, Christopher Hight, Urban Lab, InfraNet Lab, among others. For more on wind farms and agriculture, see Jason Sowell’s “Cash Crops, Energy Landscapes,” Bracket 1: On Farming (Barcelona: Actar, 2010). There was some controversy around the Obama’s vegetable garden being constructed on the “people’s lawn.” Many felt that the symbolic value of the lawn had been compromised. The irony of this suggestion and controversy is paralleled in the research and projects of both Fritz Haeg and Heather Ring. See Bracket 1: On Farming (Barcelona: Actar, 2010). On the challenge of developing the “radical aesthetic potential” of sustainable design. “[o]ur concern here is to more fully appraise the role of man-made systems which are also natural systems in the overall integral functioning of the system.” I think that defines it... and thx a lot for bringing to light the works of "Fuller". Thanks for these excellent ideas. This century I believe will see a very strong trend towards more 'productive surfaces'- for food production of all kinds including espaliered fruit trees and climbing vegetables, climate controlling plants and for outdoor art. Mason White is Assistant Professor at the University of Toronto Daniels Faculty of Architecture, Landscape, and Design, where he conducts studios on the intersections between infrastructure and architecture. Read more on Places from books published by Actar.